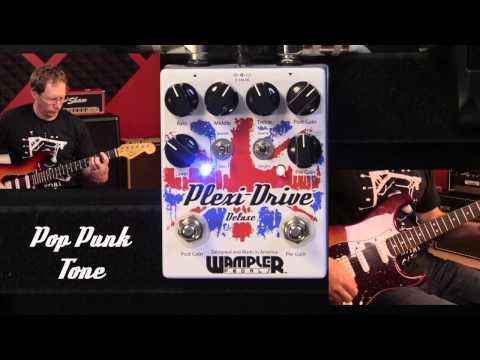 Product Overview Based on the classic Wampler Pedal “Plexi-Drive”, the Plexi-Drive Deluxe builds on the foundation of the original and gives you considerably more control to shape your tone. 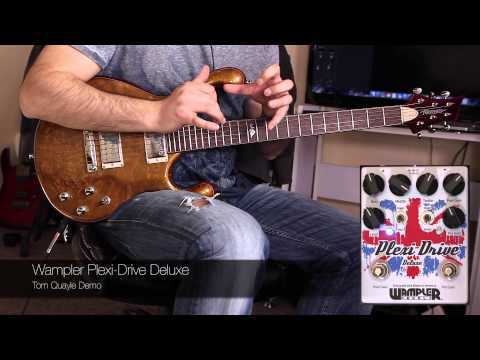 With a 3 band active EQ and additional brightness control, the Plexi-Drive Deluxe takes a huge step forward into the modern era of pedals. Complete with the perfectly voiced pregain booster, you can achieve almost any Plexi tone from virtually any amp. • High grade components picked for their superior sound and response. • Relay true bypass with soft switch. • Top mounted input and output jacks. • Battery connection and 9v power jack. • Power draw: Between 22mA (9v) and 34mA (18v). • Pre gain TS style boost for adding that lil’ extra. • 3 band active EQ: Bass, middle and treble. • Bass and bright boosts switches for increased versatility. • 3.5” x 4.5” x 1.5" in size (88.9mm x 114.3mm x 38.1mm) – height excludes knobs and switches.